Mr Phillips has advised the Board just prior to today&apos;s Annual General Meeting of his intention to step down as Chairman and as a Member of the Board prior to the end of this calendar year. White Rock Minerals Ltd (ASX:WRM) wishes to advise that its Managing Director and Chief Executive Officer, Matt Gill, will present at IMARC today in Melbourne. White Rock Minerals Ltd (ASX:WRM) provides the Company&apos;s Annual Report to shareholders. White Rock Minerals Ltd (ASX:WRM) is pleased to announce that assay results for a further 6 diamond drill holes have been received. White Rock Minerals Ltd (ASX:WRM) is pleased to provide a summary to date from its inaugural exploration field program at its flagship Red Mountain project. White Rock Minerals Ltd (ASX:WRM) wishes to advise that the podcast of an interview between its MD and CEO, Matt Gill and Proactive Investors is now available on its website. White Rock Minerals Ltd (ASX:WRM) wishes to advise that its Managing Director and Chief Executive Officer, Matt Gill, will present at Proactive Investors&apos; Spotlight CEO Investor Sessions today in Sydney and tomorrow in Melbourne. White Rock Minerals Ltd (ASX:WRM) is pleased to provide an update on exploration activities currently underway at its 100% owned high-grade zinc VMS project at Red Mountain in Alaska. White Rock Minerals Ltd (ASX:WRM) is pleased to provide an update on exploration activities currently underway at its 100% owned highgrade zinc VMS project at Red Mountain in Alaska. 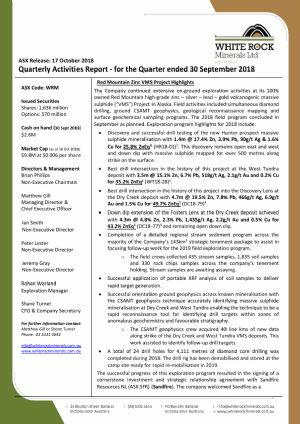 White Rock Minerals Ltd (ASX:WRM) provides the Company&apos;s Quarterly Activities Report for the quarter ended 30 June, 2018. 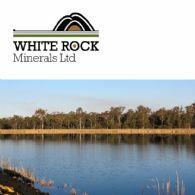 White Rock Minerals Limited (ASX:WRM) advises that it has today completed the issue and allotment of 171,386,123 new fully paid ordinary shares in White Rock and 85,693,062 new unlisted options exercisable at $0.02 and expiring 26 March 2021 as announced on 11 July 2018. The issue raised $1.71M before costs. 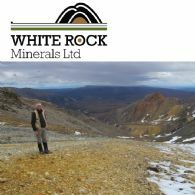 White Rock Minerals Ltd (ASX:WRM) is pleased to provide a link to an interview with Mr Matt Gill, MD & CEO of White Rock Minerals, to discuss the Company&apos;s progress at its globally significant high-grade zinc and precious metals VMS project in Alaska. 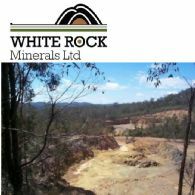 White Rock Minerals Ltd (ASX:WRM) is pleased to announce that it has successfully placed all of the shortfall resulting from its non-renounceable pro-rata entitlement offer announced on 21 March 2018. 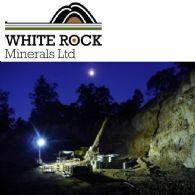 White Rock Minerals Ltd (ASX:WRM) is pleased to announce assay results for massive sulphide mineralisation intersected in the first two diamond drill holes targeting the down plunge extension of mineralisation in the Discovery lens and the Fosters lens of the Dry Creek deposit at its 100% owned high-grade zinc VMS project at Red Mountain in Alaska. 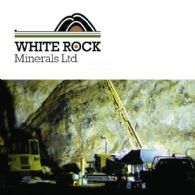 White Rock Minerals Ltd (ASX:WRM) is pleased to announce that orientation geophysics at its 100% owned high-grade zinc VMS project at Red Mountain in Alaska has confirmed that the Dry Creek massive sulphide mineralisation is coincident with strong conductivity anomalies that are identified using both the CSAMT geophysics exploration tool and time domain electromagnetics geophysics. 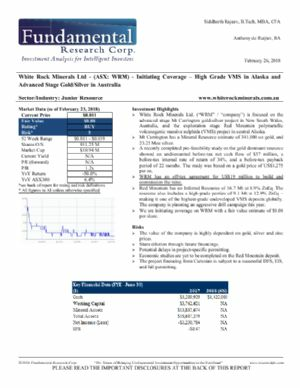 White Rock Minerals Ltd (ASX:WRM) is pleased to announce the first round of assay results for massive sulphide mineralisation intersected in two of the first three diamond drill holes at its 100% owned high-grade zinc VMS project at Red Mountain in Alaska. The intervals correspond with the visible sulphide mineralisation previously reported. White Rock Minerals Ltd (ASX:WRM) is pleased to announce that two of the first three diamond drill holes have intersected massive sulphide mineralisation at its 100% owned high-grade zinc VMS project at Red Mountain in Alaska. 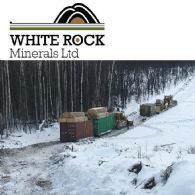 White Rock Minerals Ltd (ASX:WRM) is pleased to announce that field crews have commenced on ground assessment of recently identified regional exploration targets at its globally significant 100% owned high-grade zinc VMS project at Red Mountain in Alaska. White Rock Minerals Ltd (ASX:WRM) is pleased to announce that its 2018 exploration program is now underway and drilling has commenced at its globally significant 100% owned high-grade zinc VMS project at Red Mountain in Alaska. 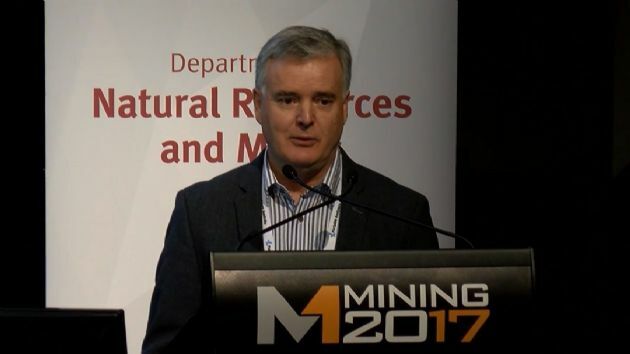 White Rock Minerals Ltd (ASX:WRM) wishes to advise that its Managing Director and Chief Executive Officer, Matt Gill, will today present at the Sydney Resource Stocks Conference. White Rock Minerals Ltd (ASX:WRM) wishes to advise today that a total of 79,912,067 unquoted options to subscribe for White Rock ordinary shares have been issued to Shareholders who participated in the Placement on 28 March 2018. This issue of options was approved at the Company&apos;s General Meeting on 4 May 2018. 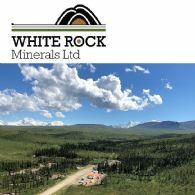 White Rock Minerals Ltd (ASX:WRM) is pleased to provide an update on its plans to conduct a comprehensive exploration program at its globally significant 100% owned zinc VMS project at Red Mountain in Alaska. White Rock Minerals Ltd (ASX:WRM) provides the Company&apos;s Quarterly Activities Report for the quarter ended 31 March 2018. 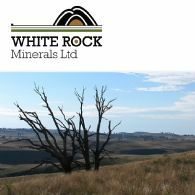 White Rock Minerals Limited (ASX:WRM) advises that it has today completed the issue and allotment of 55,495,647 new fully paid ordinary shares in White Rock and 27,747,824 new unlisted options exercisable at $0.02 and expiring 26 March 2021. White Rock Minerals Limited (ASX:WRM) advises that it has today completed the issue and allotment of 130,144,353 new fully paid ordinary shares in White Rock and 65,072,255 new unlisted options exercisable at $0.02 and expiring 26 March 2021. White Rock Minerals Ltd (ASX:WRM) wishes to advise that its Managing Director and Chief Executive Officer, Matt Gill, will today present at the 1-2-1 Mining Investment Conference in Hong Kong. White Rock Minerals Limited (ASX:WRM) advises that its recent 1 for 3 pro-rata non-renounceable entitlement offer closed on 19 April 2018. White Rock advises that it raised a total of $1,301,443 from existing shareholders under the Entitlement Offer. White Rock Minerals Limited (ASX:WRM) today announces the successful completion of the placement of fully paid ordinary shares to institutional and sophisticated investors, as announced on 21 March 2018. The Placement raised $1.6 million (before costs). White Rock Minerals Ltd (ASX:WRM) provides the Company&apos;s Entitlement Offer Prospectus. A non renounceable entitlement offer of New Shares on a 1 for 3 basis at an issue price of $0.01 per New Share and New Options on the basis of 1 for every 2 New Shares (exercisable at $0.02 expiring 26 March 2021), with the ability to apply for additional New Shares and New Options. 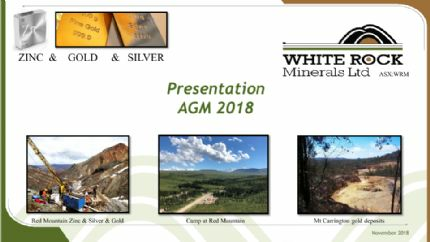 White Rock Minerals Ltd (ASX:WRM) provides the Company&apos;s latest presentation. 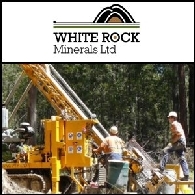 White Rock Minerals Limited (ASX:WRM) is pleased to announce an Equity Raising of up to $5.2 million through a Placement and Entitlement Offer. 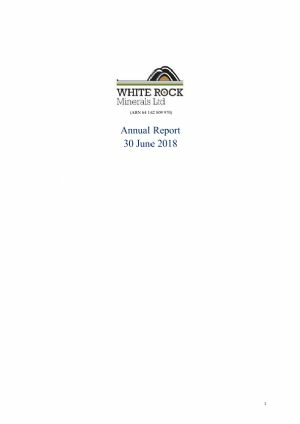 The Directors present their report together with the consolidated interim financial statements of White Rock Minerals Ltd (ASX:WRM) and its controlled entities for the half-year ended 31 December 2017 and the auditors review report thereon. White Rock Minerals Ltd (ASX:WRM) is pleased to announce that Frontier Exploration LLC, an Alaskan corporation, has been selected to provide drilling services at the Company&apos;s globally significant 100% owned zinc VMS project at Red Mountain in Alaska. 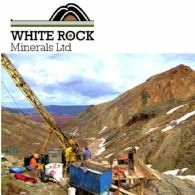 White Rock Minerals Ltd (ASX:WRM) wishes to advise that Fundamental Research Corp., Canada&apos;s oldest and largest independent research firm, has initiated coverage of the Company and has released a Red Mountain Zinc - Silver Project and Mount Carrington Gold - Silver Project Valuation Report. 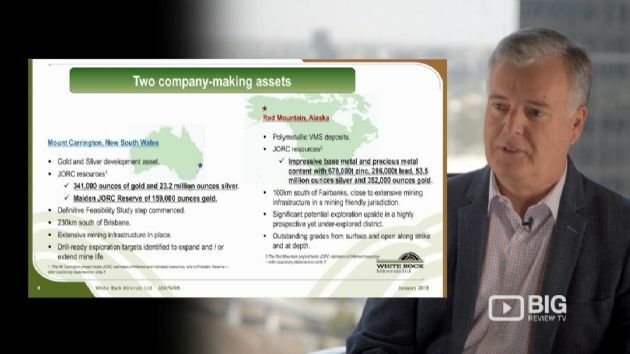 White Rock Minerals Ltd (ASX:WRM) wishes to advise that the podcast of a presentation by its MD and CEO, Matt Gill at the 2018 Vancouver Resource Investment Conference is now available on its website. White Rock Minerals Ltd (ASX:WRM) wishes to advise that DJ Carmichael has released an updated research note on the 2018 Exploration strategy planned for the Company&apos;s globally significant Red Mountain Zinc - Silver VMS Project. White Rock Minerals Ltd (ASX:WRM) wishes to advise that the podcast of an interview between its MD and CEO, Matt Gill and Alan Kohler of The Constant Investor is now available on its website. White Rock Minerals Ltd (ASX:WRM) provides the Company&apos;s Quarterly Activities Report for the quarter ended 31 December, 2017. White Rock Minerals Ltd (ASX:WRM) wishes to advise that its Managing Director and Chief Executive Officer, Matt Gill, will present and discuss White Rock&apos;s globally significant zinc VMS project in Alaska at the Vancouver Resource Investment Conference. White Rock Minerals Ltd (ASX:WRM) wishes to advise that its Managing Director and Chief Executive Officer, Matt Gill, was interviewed by Dr. Allen Alper of Metals News. The Board of White Rock Minerals (ASX:WRM) is pleased to report the key outcomes of the Company&apos;s Pre-Feasibility Study (PFS) into the development of the first stage of its 100% owned Mt Carrington gold and silver project, located in New South Wales. 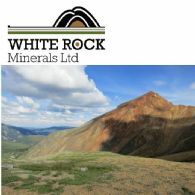 White Rock Minerals Ltd (ASX:WRM) is pleased to announce planned exploration activities for the 2018 field season at its 100% owned Red Mountain volcanogenic massive sulphide zinc project in Alaska. 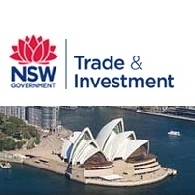 NSW Trade & Investment invites you to the NSW Mineral Explorers Presentation, Wednesday 15 May 2012 at the New South Wales Trade & Investment Centre, Sydney. White Rock Minerals (ASX:WRM) Present Online at the NSW Miners-Explorers Series held by NSW Trade and Investment on November 14th 2011. Presenting on behalf of White Rock Minerals is Managing Director, Geoffrey Lowe. The NSW Miners-Explorers Presentation series is a showcase for miners and explorers, selected for their high growth potential and investment readiness, to present on the projects in which their companies are currently engaged, as well as outline their prospects for development with the backing of the right financial partners. Asian Activities Report for September 12, 2011 includes: White Rock Minerals Limited (ASX:WRM) updated on exploration activities at its 100%-owned Mt Carrington silver-gold project in northern NSW; Rico Resources Limited (ASX:RRI) announced the discovery of new high-grade iron ore mineralisation within the Wonmunna project in Western Australia; Condor Metals Limited (ASX:CNK) has received all assay results from the first phase of drilling at its Kallona project in the East Pilbara; Northern Star Resources Limited (ASX:NST) announced a host of outstanding high-grade drilling results from its Paulsens Gold Mine in Western Australia; Bharti Airtel Limited (BOM:532454) has been awarded a license to operate 2G and 3G GSM mobile services in Rwanda. 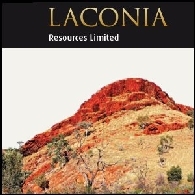 Asian Activities Report for August 8, 2011 includes: Laconia Resources Limited (ASX:LCR) has entered into a joint venture agreement with Sinoz Mining Investment Group for the Mooletar Iron Ore Project in Western Australia; Altura Mining Limited (ASX:AJM) announced an initial JORC Mineral Resource estimate for its Pilgangoora Lithium project in Western Australia; White Rock Minerals Limited (ASX:WRM) has received additional high grade silver assays from recent drilling at the Lady Hampden silver prospect; Voyager Resources Limited (ASX:VOR) has received initial assay results from the KM Copper Porphyry Project in southern Mongolia; Godrej Properties Limited (BOM:533150) has entered into an agreement with Jet Airways Limited (BOM:532617) to develop Jet Airways&apos;s property in Mumbai.